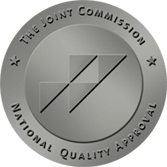 Cooley Dickinson Hospital is fully accredited by The Joint Commission (TJC) and is committed to providing safe and high quality care that complies with TJC standards. TJC conducts rigorous surveys to ensure that hospitals across the United States align with the standards of care mandated by state and federal agencies. An independent, not-for-profit organization, TJC accredits and certifies more than 21,000 health care organizations and programs in the U.S. Joint Commission accreditation and certification is recognized nationwide as a symbol of quality that reflects an organization’s commitment to meeting certain performance standards. Surveys take place every three years and are typically unannounced. Cooley Dickinson Hospital was last surveyed in 2015.